Creating a lead scoring model for your company can be a complex process. But, if it’s done correctly, it can have a major impact on the results of your sales and marketing efforts. It can also help your company better align your sales and marketing teams by ensuring that the leads marketing is delivering to sales are pre-qualified and ready to buy. We’ll answer those questions and more in our list of lead scoring best practices. Let’s start by figuring out if you’re even ready to start working on lead scoring at all. Lead Scoring is designed to do one thing: filter your leads so that the only leads going to your sales team are qualified and ready to hear from a salesperson. This means that, while the leads you send to sales will be higher quality, there will be less of them. If your sales team isn’t already getting fed with enough leads and has extra capacity, consider focusing on lead generation strategies rather than lead scoring. 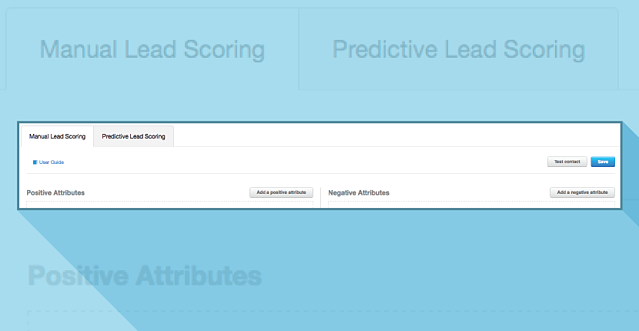 Another thing you want to consider is whether you have enough data to implement lead scoring. If you’re a new company or you haven’t been collecting data from your leads, such as their demographic information and online behavior (what pages they visit on your site, how they interact with your emails, etc. ), you may not be ready for lead scoring. Put a plan in place for how you’re going to start collecting that information and implement lead scoring after you’ve collected that data over a sufficient period of time. Once you’re ready to implement lead scoring, keep your first model simple. It’s easy to get overwhelmed with the number of actions and types of data you could give a score to. There are also some pretty complex mathematical models that can be used to determine what score you should give to each action or attribute. But for your first iteration, keep your model limited to between five and seven core demographic attributes (job title, company size, industry, etc.) and five to seven behavioral attributes (email click-throughs, webpage visits, etc.). As the people doing the selling, your sales people are often quite good at determining whether a lead is qualified. Ask them if there’s anything that stands out consistently with their closed deals. Maybe they have a piece of content they like to send to leads because they know it helps them close deals. You would then build that into your lead scoring model by giving a higher score to any lead that downloaded that piece of content from your website. Your sales people will also know what demographic information you should be paying attention to. Maybe they have a high success rate with people that have a certain job title or with companies that have a certain number of employees. Another big advantage of involving your sales team is the trust you’ll gain. If your sales team doesn’t trust your lead scoring model, they’re less likely to prioritize higher scoring leads and they’re less likely to be engaged with refining the model later on. But, if they help build the model, they’re much more likely to be bought in. Your lead scoring model isn’t something you build once and never touch again. It should be reviewed regularly and constantly improved upon. Again, this process needs to involve your sales team. Before you even start creating your model, establish a plan for how often you’re going to go back and review it. Will you hold a review meeting with your sales team monthly? Quarterly? The frequency should primarily be determined by your sales cycle. The shorter the sales cycle, the more frequently you should review and update your model. For your best deals and worst losses, why did those leads close or fall through? Which leads were the best leads? Why? Did they also have the highest lead scores? Which leads did you feel were unqualified? Why? Once you have the answers to those questions, go back and see if there’s any way you can incorporate the feedback into your model to improve it. You should also do an independent review of all leads that closed and were lost, and determine if there are any consistent traits for either group that your model isn’t already scoring for. While your sales people will have some great insight into why customers buy from you, they may not be 100% right all the time. It’s a good idea to interview a few customers that recently made a purchase from you to hear what their reason for buying was. What was the key information they needed to know before they were comfortable buying from you? Were there any pieces of content or web pages that were especially helpful to them as they made their decision? Who at their company was responsible for pushing the decision through? The answers to those questions will help you get a better idea of the actions and attributes responsible for leading to a purchasing decision, and therefore deserving of a score in your model. Once you’ve talked to your sales people and a few customers, you’ll have a pretty good idea for what should be included in your model. You may even have enough to create the first iteration. However, if you have historical data to reference, you can use it to discover even more about what makes up a great lead. If you have a lot of historical data, it may be difficult to figure out which attributes to analyze. 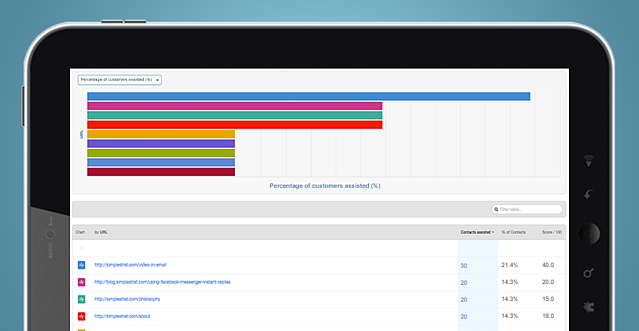 This is where your conversations with the sales team and customers come in handy. Start by measuring the conversion rates for the leads with the attributes brought up in those conversations. The second reason for incorporating negative scoring is to account for what we like to call lurkers. These are the people who interact with your company every once and awhile over a long period of time. They might be just using you as an information source or they could be a partner or competitor. Either way, they probably aren’t a hot lead. For this reason, you’ll want to start docking points for inactivity. For example, if your typical sales cycle is two months, you could give someone a negative score if they go more than four months without interacting with your brand. Unless you’re selling very big deals to a very small number of leads, lead scoring is almost impossible to do manually if you’re doing it correctly. If you don’t invest in some sort of software that updates scores automatically, there’s almost no way you can keep the scores up to date and it will be very difficult to assign scores for behavior such as web page views. Plus, when you handle lead scoring automatically, you can ensure that qualified leads get routed to sales as quickly as possible. Simply set up a score threshold and a workflow that sends the leads to sales as soon as they hit that threshold. This is important because there may be cases where someone racks up a high enough lead score in a very short time period, possibly before anyone even notices they became a lead. Those people need to be called on by sales right away. If you're still not sold on lead nurturing software, don't worry. We get that it's an investment. If you want to learn more about whether it's right for your company, check out our post on five reasons to invest in lead nurturing software. Now you’re ready to become a lead scoring pro! Remember to start simply, talk to your sales team and customers, plan for updates and improvements, leverage historical data, use negative scoring, and save yourself time and headache by investing in some automation software. Follow these lead scoring best practices and your sale team and bottom line will thank you.